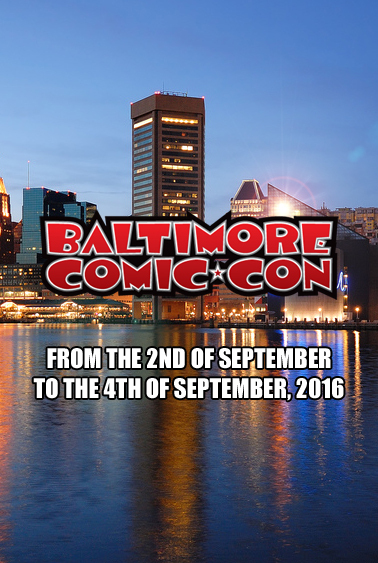 From the 2nd to the 4th of September, 2016, the prestigious Baltimore Convention Center is hosting the 17th Baltimore Comic-Con. Along with this event will also be another, The Diamond Retailer Summit, and this event will be held for three-days, starting the 31st of August and finishing the 2nd of September, right before the opening of the con. Plans call for the Summit to feature Retailing Workshops, Publisher Focus Groups, and an Opening Night Reception on August 31st. Sponsor presentations are slated for Thursday, September 1st. Dan Manser, who's the Marketing Director of Diamond, recently said, "Last year's event was extremely successful and we're excited to be back in Baltimore again this year. There's a lot of energy and excitement in the industry right now, and we hope to build on that and what it will take to be a successful comic shop retailer in the future". Marc Nathan, who's the show promoter of the Baltimore Comic-Con, followed this up by saying, "I'm extremely delighted that the Summit is once again affiliated with our show. 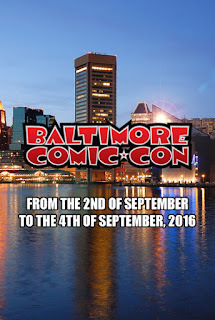 Baltimore Comic-Con, coupled with Diamond's Retailer Summit, makes a compelling reason to come to Baltimore for a full week of events and activities". 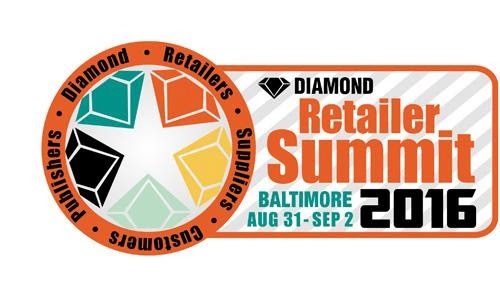 Now in its 14th year, Diamond's Retailer Summit is the leading annual event for comic book specialty retailers, as they come together to meet with publishers, suppliers, and fellow retailers to discuss the industry and their businesses. Top publishers such as BOOM! Studios, Dark Horse Comics, DC Entertainment, IDW Publishing, Image Comics, and Marvel Comics come and share exciting new projects, while retailers get to network and learn about new business practices to help them succeed and thrive in today's retailing environment. On a similar note, The Baltimore Comic-Con is celebrating its 17th year this year, bringing along with it a number of comic book professionals and media-centric artists. Additional details and registration information will be announced soon, and the con is looking forward to highlighting their guests, Cards Comics and Collectibles, the Harvey Awards, the Certified Guaranty Company, industry exclusives, and programming. The latest developments can always be found on their Website, Twitter, and Facebook pages. Founded in 2000, CGC is the first independent, impartial, third-party comic book grading service. A proven and respected commitment to integrity, accuracy, consistency, and impartiality has made CGC the leader in its field. In fact, in 2007, CGC crossed the million-book mark and has now graded over 2 million comic books. Because they value their relationship with collectors who share a passion for comics, they offer membership in the CGC Collectors Society. Paid membership starts at $39 per year, and includes direct submission privileges, access to expert tools and resources like the Comics Registry, and dynamic interaction with fellow collectors.